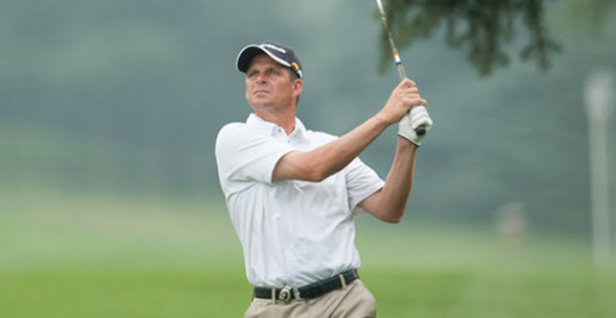 Riverside, IA – Iowa PGA Member and Teaching Professional at Sugar Creek Golf Course, Chad Proehl has received a Sponsor exemption for the 2018 Principal Charity Classic, a PGA Champions Tour event. This year’s tournament will take place at the Wakonda Club in Des Moines, Iowa on June 8-10. Proehl was the runner-up in the 2017 Iowa PGA Player of The Year Standings, placing in the top five in eight events, including five first-place finishes. The Urbandale native has won three Player of The Year honors in the last 10 years (2010, 2012 and most recently in 2016). Proehl has continued his strong play early in the Iowa PGA’s 2018 Tournament schedule, winning three out of the first four events he has played in, including the 2018 NB Golf Cars/M&M Golf Cars Iowa PGA Foundation Pro-Am on Monday. He looks to keep his impressive play going as he enters the Principal Charity Classic. Although Proehl has had a long and successful golf career here in Iowa, he has never been able to share these moments with his family. He will finally get that opportunity on the weekend of June 10th at the 2018 Principal Charity Classic. Click here for more information on the 2018 Principal Charity Classic.